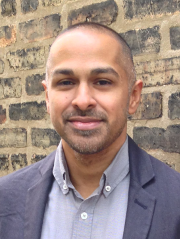 This month, we talk political philosophy with Rafeeq Hasan, Harper-Schmidt Fellow and Collegiate Assistant Professor in the Division of the Humanities at the University of Chicago. Click here to listen to our conversation. In today’s political discussions, we tend to assume that there are two ways a person can lean. Either you place a premium on your own personal freedom and property, or you place a premium on harmonizing your needs with the needs of others in your community. We think of these two ideals as mutually exclusive. Of course it’s impossible to lean both ways! Jean-Jacques Rousseau was famous for leaning in the former direction. He thought that a just, well-ordered society should be one that maximizes the potential of each of its citizens to be free from interference from others. If everything is set up the way it should be, you should just be able to go about your own business. But in our discussion, Rafeeq Hasan argues that this interpretation of Rousseau, though not entirely incorrect, is missing half of the story. According to Hasan, Rousseau didn’t just insist that we should all be autonomous; he thought that our very ability to be autonomous was premised upon our being able to form a community. So actually, he thinks that Rousseau actually did lean both ways simultaneously. And if we end up deciding that Rousseau was right about that, we may have to give up on the idea that there’s a trade-off between responding to the needs of others and living freely. Indeed, our guest argues that not only is there no trade-off between these two goals–they are interdependent. You can’t be free unless you also respond to the needs of others, and vice versa. Tune in to hear why!